The right eyewear makes a difference in your ability to see, but also in your confidence. At The Plano Eye Care Center, our goal is to ensure you have access to the very best prescription glasses for your needs. We offer a wide variety of products and exceptional service to meet any style need you have. 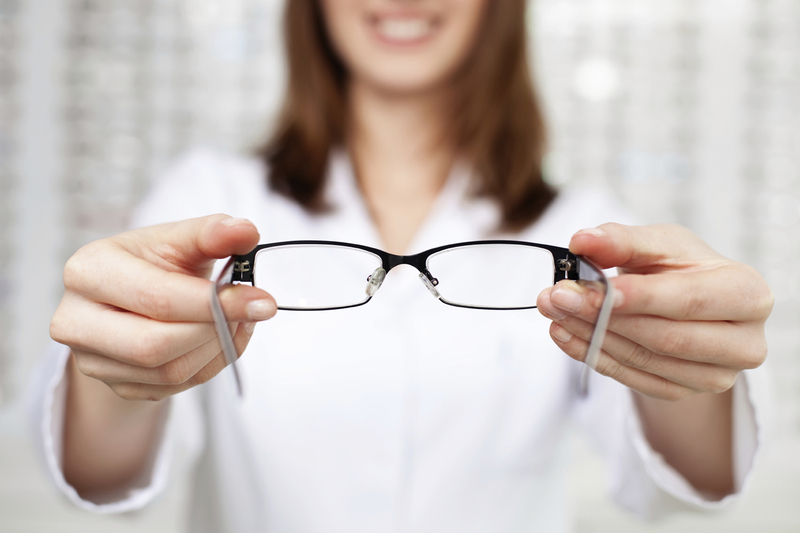 In Plano, prescription glasses are available for children, men, women, and seniors. There’s a lot to think about when selecting prescription glasses. The first step is always to have a new eye exam to ensure you get the right prescription to improve your vision as much as possible. When you visit our team, we’ll provide a comprehensive eye exam to determine your prescription. Then, you can work with our dedicated and experienced staff to find the right glasses for your needs. When selecting frames and lenses, insist on the highest quality possible. Your glasses will be worn often, putting them at a high risk for breakage. With the help of our skilled team, we’ll ensure you always have access to the very best quality product. We do this by ensuring you have access to the brands known for providing not only stylish, but durable, long-lasting prescription glasses. What Frame Is Right for Your Face? The next thing to keep in mind when buying prescription eyewear is the frame type. Not every shape and style works well for all people. How do you know what’s right for you? A good place to start is with some consideration for your face shape. Oval Face: If your face has balanced features with a narrower chin than your forehead, you have an oval face. Bold shapes work very well for oval faces as do fun colors and textures. Be unique. You’ll want to choose a size that maintains balance for your face. Round Face: Round faces have full cheeks and a rounded chin. Your head has equal length and width. Choose wider rather than taller lenses with strong details. You may like glasses that have nose pads to keep the glasses off your cheeks. Heart-shaped Face: Those with a broad forehead and a pointed, but narrow chin have a heart-shaped face. Most have high cheekbones as well. For heart-shaped faces, choose frames that are wider than the forehead. You’ll want to keep any frame details on the lower half and light colors. Square Face: Square faces have a wide forehead, angular features, and a prominent jawline. For square faces, choose round or upswept shapes for the best look. Thinner frames with neutral colors do well to allow your features to stand out. When you need eyeglasses in Plano TX, put your trust in The Plano Eye Care Center. Our experienced team will help you choose the best prescription glasses for your unique needs. To schedule an exam or to purchase prescription glasses, call us today at 972-964-3937.